Though rumors were circulating at the end of 2017 about the Deepsea Sea-Dweller D-Blue dial being discontinued, the model has returned in fine fighting form amongst a sea of other new Rolex releases at Baselworld 2018. Its fantastic gradient blue-to-black dial remains intact, though a few technical updates have been added to bring the model up to the brand’s current and exacting standards four years after its initial release. Rolex brought the James Cameron up to speed with a few key updates. First and foremost, its caliber is yet another to receive a refresh, in this case being fitted with the Rolex Caliber 3235 as seen in the Datejust and Sea-Dweller models already. The patented Chronergy escapement and other updates push this piece up to a power reserve of 70 hours, the same benchmark now met by all of Rolex’s new line of 32XX calibers. The new Rolex Deepsea 116660 case has also been reworked to accommodate this new caliber, with the modification including subtle changes to the lugs and side profile of the case, similar to what was seen with the Datejust 36. 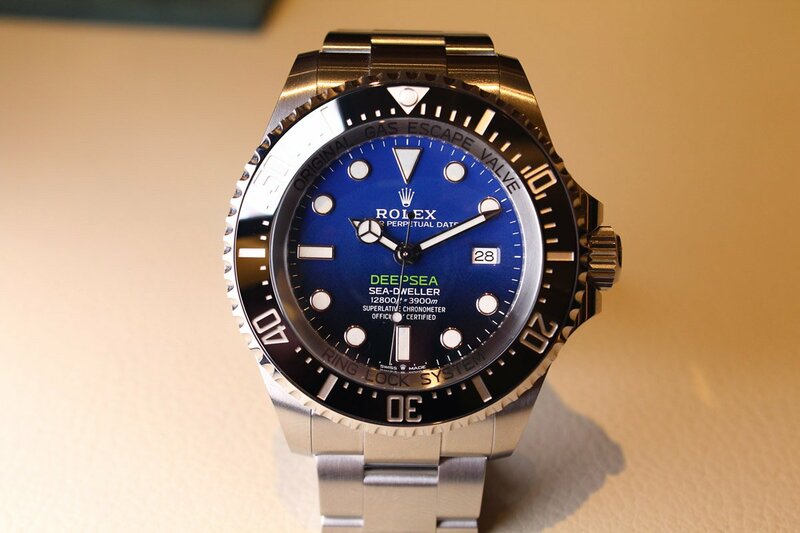 Here is the new iteration of the Sea-Dweller Deepsea D-Blue. Of the many minor tweaks to come to the new reference 126660 Deepsea D-Blue in 2018, the most notable difference between it and its predecessor will no doubt be how the piece actually feels on the wrist. Without side-by-side comparison imagery you may not even spot the changes. However, the bracelet of the updated D-Blue James Cameron has a slightly broader profile than the previous James Cameron Sea-Dwellers, giving it a more substantial feel on-wrist. To achieve this, Rolex widened the lug width from 21 to 22mm, resulting in nominally thinner lugs without widening the overall profile of the watch, and providing a better balance to its case design. Given the significant heft of the piece itself—required to achieve its astounding 3,900 meters/12,800 feet water resistance—this change is a welcome one for many, creating a touch more balance between the watch head and the bracelet itself. Accordingly, the Oysterlock clasp and Glidelock extension system have also been widened to accommodate the thicker bracelet. Other than in width, the clasp and extension have not been touched, and the Glidelock extension still allows for rapid adjustment of bracelet length, whether nominally for added comfort, or up to 20mm in order to accommodate wearing the Deepsea D-Blue over a wetsuit. 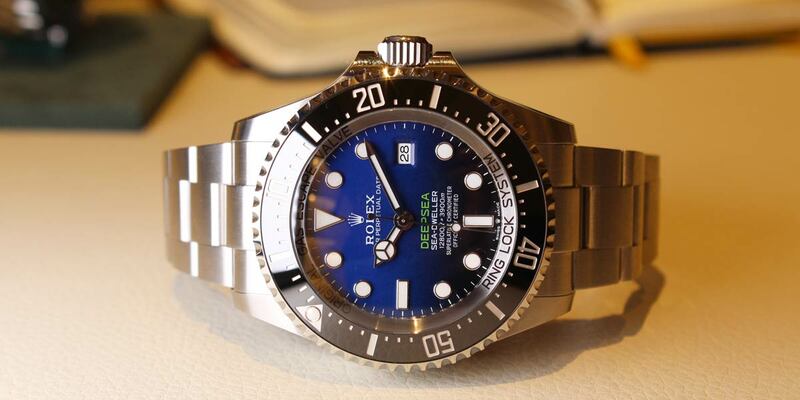 Here is the older version of the Sea-Dweller Deepsea D-Blue. Looking more closely at the D-Blue James Cameron’s dial, a keen eye will notice the second noteworthy change when compared to its predecessor. Can’t spot it? It’s ok, but when you do you can expect a pretty loud “aha moment”. One of the few gripes often voiced by Rolex collectors about the D-Blue when it first launched was hand length. In particular, the minute hand of the Deepsea in its original guise reaches just a couple millimeters shy of the minute track of the dial, and unlike the majority of other Rolex dial and hand combos it also does not fully clear the hour indices. While this may seem like a frivolous detail to some, the fact of the matter is that Rolex’s design work is so thoughtful and meticulous in other ways, that when you notice a shortfall like this it comes across as an unfortunate oversight. Either way, the oversight has been corrected now, proving that every now and again, the mighty Rolex does pay attention to the comments and concerned of its devout following. From an engineering standpoint, the Deepsea is still a rather remarkable creation in a number of respects. 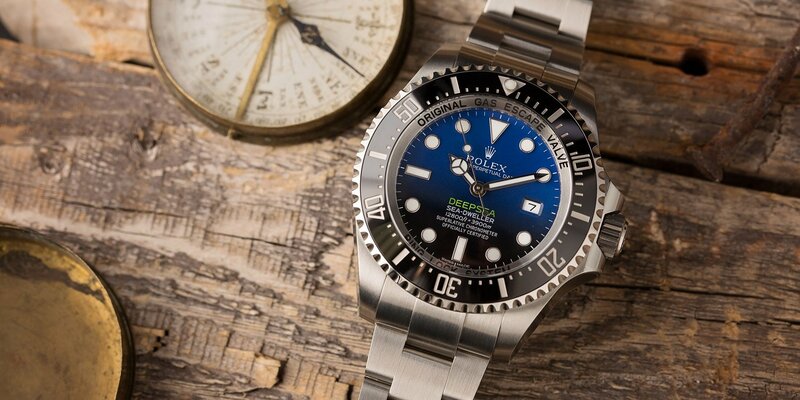 Given the right slab of steel and a thick sapphire crystal, other watch brands have been able to create deep-diving watches as well, but by comparison many aften land closer to the 1,000 meter depth rating range at a 44mm plus case size, rather than the nearly four times that which Rolex was able to achieve. A major innovation in its development, the brand’s patented Ring Lock system (whose name is inscribed on the Deepsea’s rehaut) uses an inner compression ring made of a stainless steel and nitrogen alloy known as Biodur 108—an alloy that is three times as strong as the already-harder-than-norm 904L stainless steel used by Rolex on all of its watches. This extra-strong inner ring, paired with a 5.5mm thick sapphire crystal and a titanium caseback are the key pieces of the puzzle that give the Deepsea its impressive underwater specs that set it apart from its competition. At the end of the day, this refreshed Sea-Dweller Deepsea was anything but the biggest news from Rolex at Baselworld 2018, however, it’s definitely news that will make a number of collectors and enthusiasts happy considering the previously unknown future of the model. The 44mm tank of a watch still isn’t going to be to everyone’s tastes, however its still a mighty cool piece that is worthy of sticking around in Rolex’s collection.